When you’re using your Mac as a work computer, it is important to ensure that it is always performing optimally. Unfortunately at some point or other you may notice that it is slowing down, and some apps may even start to freeze or crash. To run optimally your Mac needs to have enough free space on its hard drive. Over time as the hard drive starts to fill up with apps and other junk that can be an issue – which is why you should clean it periodically. While cleaning a Mac manually can be time-consuming, with Movavi Mac Cleaner it is a piece of cake and you just need to launch it, let it scan your Mac then click the ‘Start Cleaning’ button to begin. Additionally. you can free up even more space by uninstalling apps with its ‘Uninstaller’ too. If your Mac is booting up slowly then it may have too many login items. These items launch when your Mac starts up, and then run in the background and take up system resources. As a rule of thumb you should remove any unnecessary login items by going to ‘System Preferences’, or you could use the ‘Startup Optimization’ feature in Movavi Mac Cleaner. One of the main causes of slow Macs is when your Mac does not have enough RAM to support all the apps that it is running. To check how much RAM you have available you should open up the ‘Activity Monitor’. Assuming you don’t have that much free RAM, you should close all apps, remove any unnecessary login items, and make sure there aren’t any unnecessary apps running in the background. If you want you can use the ‘Memory Cleanup’ feature in Movavi Mac Cleaner to clear your RAM and boost your Mac’s speed too. Each new version of OS X contains numerous bug fixes, performance optimizations, and so on. If you’re running on an old or outdated version of OS X you won’t benefit from these improvements – which could be causing your Mac to slow down. That is why it is best to always keep your Mac up to date. As you can see Movavi Mac Cleaner can be a big help when your Mac is running slow. With its features, you can clean your hard drive, free up space, remove unnecessary startup items and even free up some RAM. While there are other reasons why your Mac may be running slow – the ones listed above should give you a place to start. 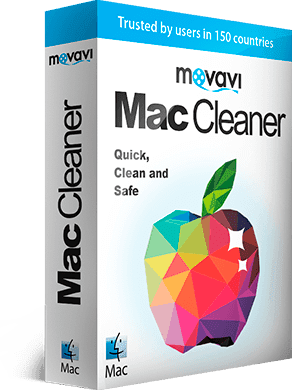 In fact, if you were to try using Movavi Mac Cleaner right now, you could quickly see the improvements to your Mac’s speed that it is able to provide and decide whether or not you need any further help.